Anant National University currently encompasses a state-of-the-art campus with studio spaces and well-equipped workshops for climatology, carpentry, metal working and ceramics. Its picturesque lake visible from all classrooms, the spacious amphitheatre and green landscapes surrounding the main building add to the charm of this grand campus. 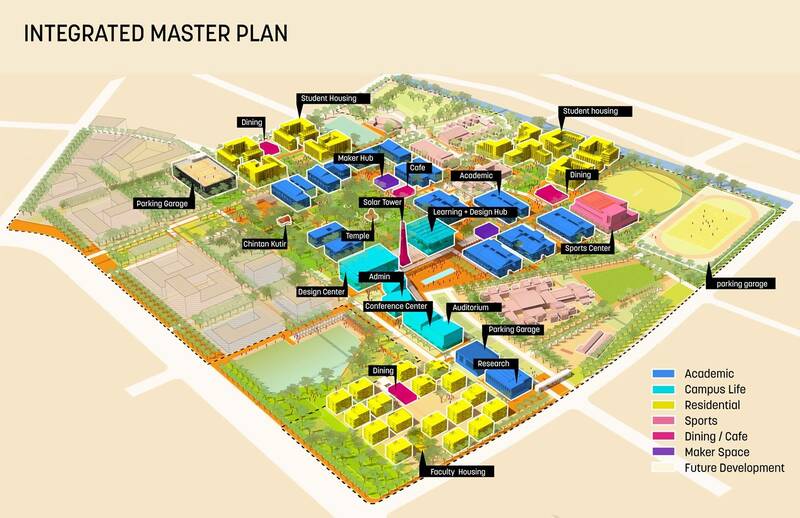 As AnantU prepares to realize its vision of becoming one of the top universities in India and the world, it has designed the campus masterplan in line with that vision. 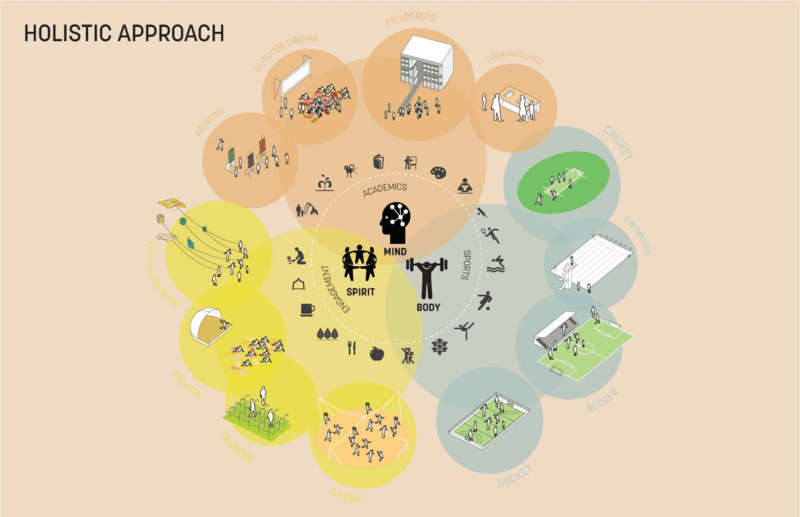 The masterplan includes flexible spaces for learning and hands-on activity, fab-labs and exhibition spaces in addition to state of the art facilities for sports and student housing. 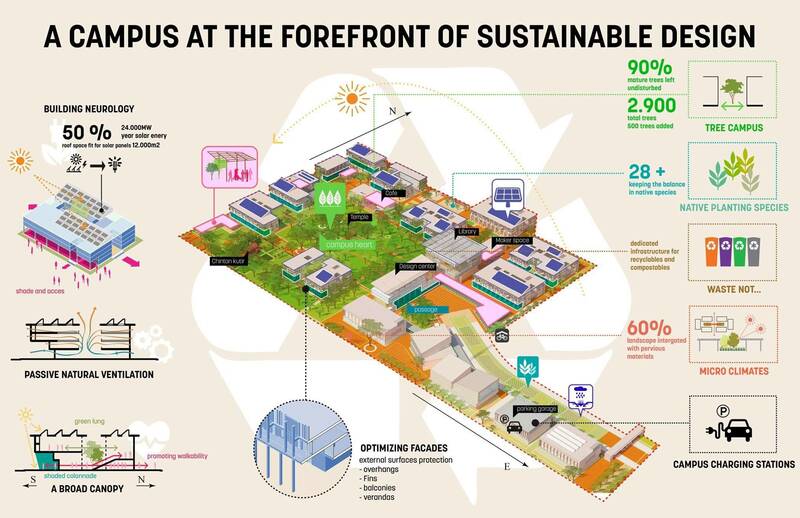 Importantly, the campus is being designed to be a net zero campus, one that will safeguard more than 90% of the mature trees currently present and be amongst the greenest campuses in the world. AnantU believes in providing holistic development to all its students by focusing on their mind (academics), body (sports) and spirit (engagement). Its state-of-the-art campus provides facilities for students to strengthen their head, hands and heart. 3D printing facilities allow students to experiment with prototypes of their designs and test out new ideas. Badminton court, volleyball court and an indoor tennis room are accessible to students at all times. When in mood to unwind, they can take a stroll amidst nature or simply sit under the expansive shade of big banyan trees in campus. Students at AnantU have access to its library with several books on architecture, design and urban planning written by Indian and foreign authors. The university also subscribes to online and print journals and magazines and makes available a variety of online content in the form of articles, videos and databases.